If hearing about the amazing potential of redox supplementation has you excited, imagine the business potential of the company that pioneered it. Being involved with ASEA can impact more than just your wellbeing; it can impact your financial future. The ASEA opportunity allows you to weave your business around your busy schedule and take charge of how you earn your living. Starting an ASEA business allows you to realize your financial goals while giving you control of your time. More than 70% of people who start their own businesses list a common top reason for doing it: being their own boss. Sounds good, doesn’t it? The standard boss-employee paradigm is making way for the demand to work from home. Not just because people need control over how they earn their money, but because they need time freedom and more earning potential as well. Did you know that college graduates are earning on average 15% less than they were in the year 2000? That’s a $10,000 decline. ASEA offers an opportunity for you to take part in a $178 billion industry—an industry that nearly doubles the retail sales of the movie and music industries combined; an opportunity to leverage two massive mega-trends: the global shift toward embracing natural health and wellness solutions and the growing demand for the lifestyle freedom of a home-based business. It’s simple to get started. With a low-risk, low-cost entry point, you gain an immense opportunity to create a sizable income, without the headaches of traditional startups. You’ll never have to worry about inventory, warehousing, employees, or payroll. If you’re like most people, you’re used to relying on a regular paycheck from an employer. But that norm is becoming less and less normal as more and more people are looking for—and creating—multiple income streams. ASEA’s generous compensation plan gives you multiple ways to earn. It’s a great way to put your residual income plan into place, relying on ASEA’s remarkably high retention rate, more than triple the 15–20% industry average. The ASEA compensation plan has also supported and rewarded many individuals who have committed themselves full-time to business-building, and as a result, have achieved financial independence. 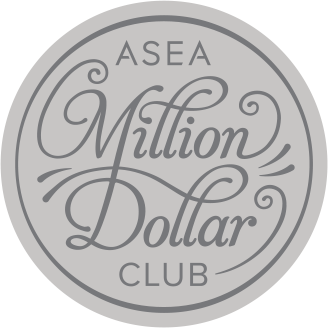 ASEA has even created an elite Million-Dollar Earners Club. The customer base is unlimited, and the powerful, generous commission and bonus structure rewards Associates every step of the way. 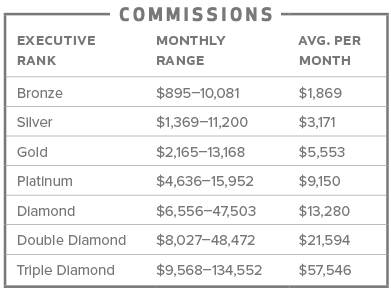 *This information is based on 2014 earnings of executive-ranked ASEA Associates. This is not a guarantee of a particular income. Individual results will vary. *Monetary references represented in USA dollars.